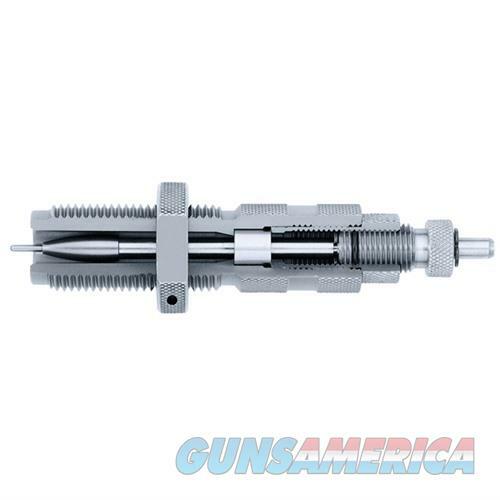 Description: Hornady 544227 Hornady Match Grade New Dimension Neck Size Die, 223 Rem The Hornady match Grade Dies feature interchangeable neck sizing bushings that are self centering. The bushings allow the user to size the case neck to the bullet tension you desire. This eliminates the chance of over-sizing your case necks and overworking the brass. Bushings are available in .002 inch increments. The Match Grade Full Length Die will size the case body, bump the shoulder and size the case neck with the selected bushing. The Match Grade Neck Die sizes the neck with the installed bushing and bumps the shoulder only (no body sizing). Both versions feature a self centering decap spindle with an o-ring spindle tensioner, and the elliptical expander ball with headed decap pin - the same pin used in the Custom Grade Dies. These bushing sizer dies have some unique features and are very well made and finished.